When it comes to beer, how seriously do you take picking the proper glassware? Certain people are so picky, they’ll practically refuse to drink a brew out of anything but the correct vessel. And then there’s a completely different level of obsessive who would refuse to text using the standard beer emoji because the beverage they’re drinking would never be served out of a mug. If you fall into that latter group (the existence of which I think I just made up), you’re going to love the latest move from the always glassware-obsessed Belgian Brewers’ Association. 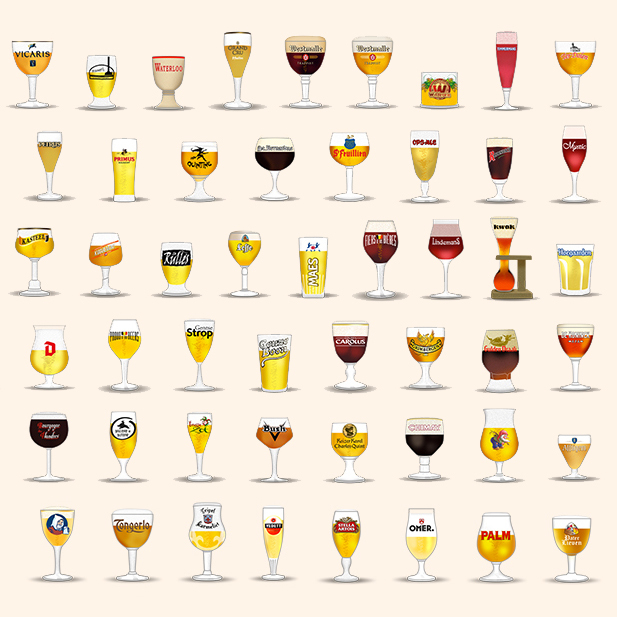 They’ve released a set of 60 different beer emojis, covering the specific glasses used for its members’ brews. Sadly, these emojis aren’t approved by the Unicode Consortium, the group that handles the officially authorized keyboard symbols, meaning that depending on what apps and devices you’re using, you could have compatibility issues. But that doesn’t mean you can’t go to Apple’s App Store or Google Play and give them a whirl. If they work, that’s just one more reason to have a drink! I’ll [Lindemans] [Duvel] [Kwak] to that! Sorry. I haven’t installed my Beeremojis keyboard yet.